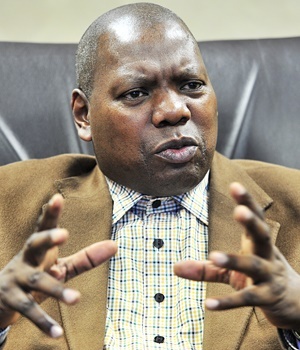 Johannesburg – South Africa's struggle with state capture has caused the country huge embarrassment, ANC treasurer general Dr Zweli Mkhize said on Wednesday. Mkhize delivered an address at the Joburg Indaba, where he spoke on the challenges facing the country and efforts being made by the ANC to address them. “This issue of state capture is a huge embarrassment. We take it as a form of corruption,” he said at the Indaba, which focuses on the mining industry. During a question and answer session, Mkhize said state capture presents one of South Africa's major challenges and called for the speedy appointment of a judicial commission of inquiry to “put the matter to rest”. He blamed the delay in establishing the judicial commission on setting its terms of reference, which needed to finalised. Mkhize said the commission should have the ability to question everyone involved and be able to get to a point where police investigations are instituted, and those implicated ultimately prosecuted. He added that the ANC should act against those within the party who have been implicated once the findings and outcomes are released. “The president has agreed to institute the commission. It is not a matter of us forcing him to do it, he has agreed,” Mkhize clarified to journalists. The Public Protector’s recommendations are also being reviewed and legal experts are in the process of defining those terms of reference as well, he said. The treasurer general said the party remains hopeful that this would be done urgently. He said that engagements with business are on an ongoing basis, and the success of these engagements would be judged on the outcomes it delivered. Mkhize referred to the minimum wage agreement, as well as the R1.5bn the private sector has committed to developing small businesses and the one million jobs pledged over three years for school leavers, as examples of successful outcomes. The current political tensions plaguing South Africa are only temporary and symptomatic of the upcoming ANC elective conference in December, Mkhize said. He believes that once the new leadership has been established, the issues presently dogging the country will be dealt with. After the conference, the focus will shift to improving service delivery and growing the economy before moving towards the next elections, he said.